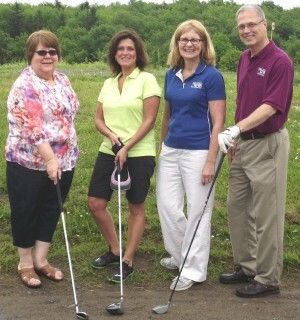 FULTON, NY – Lois Luber, resource development director for the United Way of Greater Oswego County, has announced that a number of area businesses have signed on as sponsors for the United Way’s 19th Annual Golf Classic. United Way Resource Development Director, Lois Luber meets with sponsors of the United Way of Oswego County’s 19th Annual Golf Classic. From left are: Sue Bertsch of Exelon Generation; Tammy Holden of Entergy James A. FitzPatrick NPP; Luber; and Walter Dengos of National Grid. Absent are Chris Smith of Novelis; and Kevin Riley, of Planned Results, Inc. Inc.
“I am happy to welcome Exelon Generation, Entergy James A. FitzPatrick NPP, Novelis, National Grid, and Planned Results, Inc. as major sponsors for this year’s Golf Classic,” said Luber. Scheduled for July 14, this year’s event will be held at the Oswego Country Club. 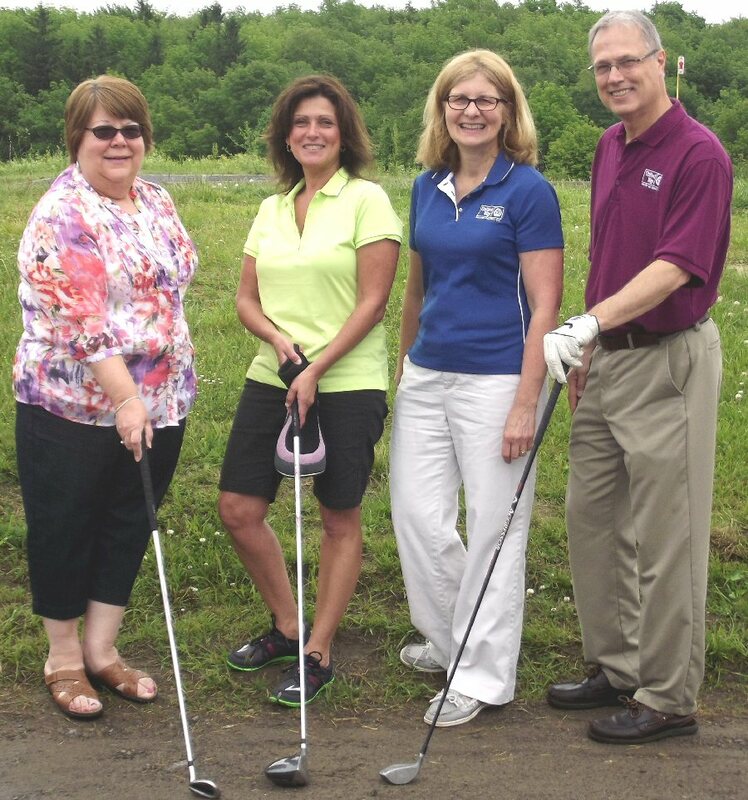 One of the premier golf tournaments in Oswego County, the event offers businesses and community members the opportunity to enjoy a fun day of golf and while helping to support their local United Way. In effort to accommodate more golfers, and host a field of up to 50 teams, the 2014 United Way Golf Classic will offer two flights of golf, an 8 a.m. tee off and a 2 p.m. tee off. The event will once again feature a captain and crew format with teams of four golfers. A team registration of $600 includes: 18 holes of golf with carts for four people, a steak lunch or dinner, beverages, golf shirt, and an opportunity to win an automobile at the hole-in-one contest sponsored by Burritt Motors of Oswego. There will also be plenty of raffles, a silent auction, a putting contest, skins competition, prizes for longest drive and closest to the pin and much more. Luber added that there are still a limited number of sponsorship opportunities for those interested in being a part of the Golf Classic including; corporate foursome sponsorships and hole sponsorships. United Way is also accepting items for the silent auction that takes place immediately following the tournament, for businesses that would like to lend their support at that level.